When I returned to work, could you guess what my biggest fear is? Exactly, not being able to provide enough breast milk for my baby. With my past experience of having to supplement my first baby, I became even more protective of my milk supply. Then, my irregular pumping session began, and skipping pumping here and there. Oh.. That guilty feeling of choosing work over pumping. My milk supply started to plummet. No matter what, the desire to achieve my breastfeeding goal was so strong. So, I started to create a detailed plan to bring back my milk supply. I was able to keep providing enough milk for my baby until she’s 23 months. Are you struggling to keep your milk supply up? Or, you are not there yet, but constantly worrying if you could provide enough pumped milk for your baby? Because I decided to share how I managed to build back my milk production. Ready to learn more.. ? Note: most of these tips are geared towards mom who combine direct nursing (i.e. latch on) and pumping. So, some of them won’t be applicable for exclusive pumping mamas. For the sake of simplicity, I would always use ‘work‘ to refer to times when you are away from your baby. 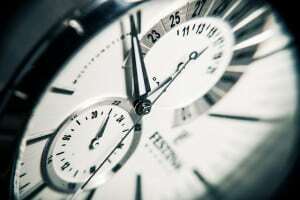 You may not be actually working, but maybe studying full time. It’s okay, as long as you are separated your baby regularly for long hours almost every day (i.e. full time),that counts as ‘work‘. Quickly scroll to the end of the post to find the infographics summarizing all these tips! We all know, having correctly-latched baby is the most effective way of milk removal from the breast. So, whenever you are with baby, always nurse. Sometimes, when you feel busy or want to have time for yourself, it is very tempting to just grab a bottle of expressed milk, heat it up and let someone else feed the baby. You never know what would happen in the future, whether your milk supply will be sustainable enough to accomplish your breastfeeding goal. So if you want to do your best to maintain your milk supply, choose to nurse instead of feeding with expressed milk. Your baby will thank you later. Tips #2: Nurse your baby before you leave for work. Make it a habit that one of the last thing to do before leaving is to nurse the baby. That way, your breast will be empty and thus producing milk in a faster speed (Hint: remember the golden rule of milk production). From my experience, if I didn’t have time to properly nurse my baby prior to work, I would get less pumped milk at work. Tips #3: Nurse your baby right after you come back from work. Again, nursing your baby should be one of the very first thing you should do right after work. Yes, you can definitely clean up yourself first, but don’t drag too long. Even though you have pumped several times at work, remember than pumping is not as efficient as baby in removing milk. So by nursing baby right after work, you are emptying your breast completely and maintaining your milk production. PRO TIPS: Coordinate with your baby’s caregiver that your baby’s last feeding should not be too close to your typical time of reaching home (or day care). That way, your baby’s tummy is rather empty and ready for nursing with you once you arrive. Make pumping as a commitment-just like how you treat your work- and do it in a regular schedule. It is best to be able to pump in similar timing when you usually nurse your baby. But if you can’t, just stick to a schedule and pump. Set a timer, and go whenever it’s time to pump. I know sometimes work can not be avoided, but don’t be too slack. Let me tell you, a chaotic pumping schedule is a sure-way to diminish your milk supply real fast. You don’t believe it? I learnt it the hard way, trust me! How often I should pump at work? The general guideline to maintain milk supply is to empty breast regularly every 3-4 hours. Though I know a lot of moms deviate from this and only pumping less than that. That’s fine, as long as you know you are meeting your baby’s demand. But bear in mind that if you pump longer than 4-hour interval, you may see a decrease in your milk supply, sooner or later. 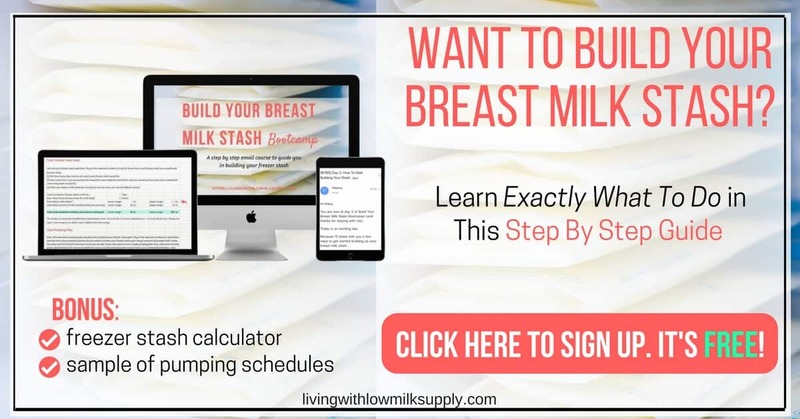 This is different for each mom, and mostly depend on how much milk your breast can store. As you know, it is normal to be able to express milk only half or even third of what baby takes in a single feeding. So, you need to maintain slightly over supply to meet your baby’s demand. This can be done by adding extra pumping sessions in addition to your regular nursing schedule at home. Some mothers can do away by pumping once early in the morning, when milk supply is the most abundant. Some others, including me, need to have another extra session (that makes it two extra pumping a day) at night. You can do it before or after your baby sleeps. Though the amount of milk yielded from those sessions may not be significant (compared to what you get at work), adding all together, it will accumulate for some extra bottles. And of course, good for your milk supply. The purpose of this is similar with tips #5. Why I make it a separate point? Because it is even harder to commit to pump on weekend. After all, you’ve been pumping every day, and now weekend too?!? Please.. give me a break! Yeah… it is easy to wanting to have some break. But think about it again.. If you don’t pump at all during the weekend, your body will adjust its milk production only to what your baby needs, and eliminating the need of maintaining the ‘over-supply’ state. At least, do two extra sessions in the morning and night, but if you can, sneak it one more during baby’s nap time. I noticed that if I didn’t pump enough during the weekend, my supply will dip slightly on Monday, which I hate so much. So I make it a commitment to pump at least 3 times per day on weekend (later on I reduced it to twice once my baby is more than 20 months old and need less milk). PS: Just to tell you, I know some moms pumping up to 8 times per day on weekend (in addition to the direct latch on). Oops.. I hope you’re not going to hate me because of this. I know I know… you have been hoping so much that your baby will sleep through the night and you get the uninterrupted sleep that you’ve been dreaming about. But do you know that by letting your baby nurse at night, your breast keeps getting its much needed stimulation to produce milk? I’m not saying you have to nurse your baby every single hour. Even one feeding at night (say 4-5 hour from his last feed) is good for your milk supply. Compare, if your baby sleeps through the night, say, for at least 8 hours. That means your breast does not get stimulation to make milk for 8 hours. Soon, your breast will assume that it will only need to produce milk every 8 hours (which ultimately will affect its milk production during the day). Alternatively, if you still want your baby sleeps through the night (or he already does), and you don’t want to wake him up, then you can substitute the nursing with one pumping session at wee hours. So, which one do you choose? Nursing at night or pumping at wee hours? Tips: For wee-hour pumping, use a silent breast pump with night light such as Spectra S1 for optimal convenience. As a mom, I understand how busy it is, juggling between taking care of the family and work. 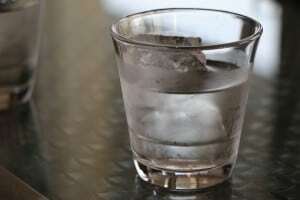 To the extend that you may forget to take care of yourself, even as simple as drinking a glass of water. Improper meal and inadequate liquid may affect your milk supply. After all, if you are not nourishing yourself, how could you nourish your baby with your milk? So, make it a commitment to watch your diet and your fluid intake. Normal adult needs at least 8 glasses of water a day. With breastfeeding, certainly you need more. But not too excessive, ok! Stress affects your mind and affect your hormone. To be honest, stress at work is one of the major cause of my milk supply drop. It may hinder the secretion of oxytocin. As a result, it is difficult to get let down reflex. Well, you may not be able to avoid occasional stress. But if you experience constant stress, please do something about it. 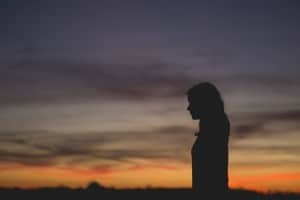 Talk to your husband, your friend, or even a professional who can help you with this. Find a solution which works. If after you did all of this, your milk supply is still dwindling down, perhaps it’s time to try power pumping. For fast result, do a power pumping boot camp during a weekend. If you are not sure how to do it, click here to read the complete guide to power pumping. This is a tips that I got from my dearest friend and is very valuable. Whenever you are worried about your milk supply, whenever you are thinking that your supply won’t suffice your baby’s need, pray to God. Ask Him, to make your milk supply sufficient for your baby. After all, He’s the Best Provider. 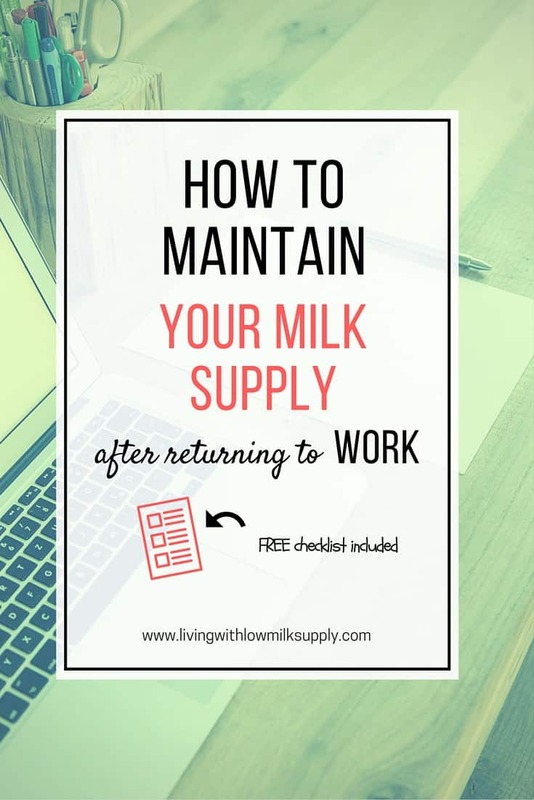 I hope these tips will help you to maintain your milk supply even when you are away from your baby, especially after returning to work. If you are a visual person, I’ve summarized all of the tips in the infographics below. PS: Don’t forget to pin this! 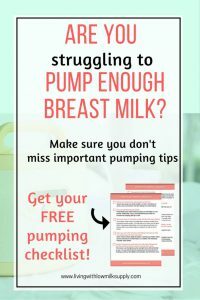 This article is part of series titled ‘How To Pump Breast Milk Effectively’. Click here to read other articles in this series. I’m glad the article is useful for you. All the best for your breastfeeding journey and feel free to share this article with all your expecting-mom friends. Hi Rina. 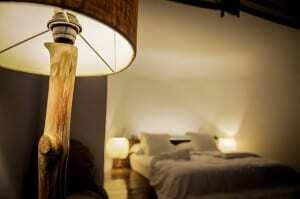 I am a guy; now you are probably wondering why I am reading a post about pumping breast milk.There is a reason for that. My sister works hard, too hard in my opinion. She has a toddler of 6 months and he needs milk, but she is starting to dry-up. 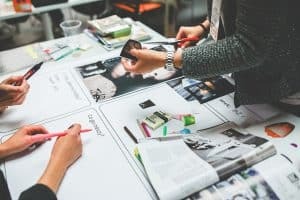 I think that she is overstressed from work and in a few day when I see her(we live in different towns) I am going to mention to her your website, and especially this page. It’s so nice of you to support your sister in her breastfeeding journey. Please continue to give her your support.., breastfeeding moms are most vulnerable. Thank you for your encouragement article, my eyes are watery now… Wish all breastfeeding working moms have enough supply and healthy happy babies! May all breastfeeding working mom have enough supply for their babies and have a happy-healthy breastfeeding relationship. I’ve read about pumping between nursing. But when I tried the baby got fussy at the next feed. Is this because she didn’t have enough? How can I pump between nursing sessions? If you just started pumping, yeah it’s normal that your baby is fussy (what you need to do is to keep offering her to nurse, switch side several times as needed). But if you maintain the pumping routine, gradually your breast will take it as a signal to increase your milk production so that it will eventually produce enough milk for direct latch and pumping. My advice is start slow (pump 10 mins first and keep at it until your baby not fussy anymore, and you can gradually increase the pumping duration if you wish). Another alternative is to pump only one side so that your baby has immediate access to milk in one breast, while the other breast keeps producing milk to replace what’s gone by pumping. 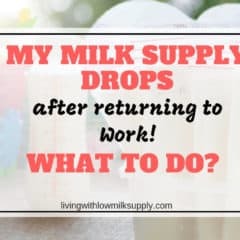 I have just returned to the workforce about 3 weeks ago after maternity leave and definitely struggled with breastfeeding supplyworries, especially since my supply was never ample to start with. Thank goodness for your site! I think that point you made about pumping longer for more letdowns really helped me. Last time , I would only have 1 letdown / give up after 10+ min, In this way supply also dwindled. Hence I think a minimum of 15-20 min pumping per session every time is ideal if the situation allows it. Thanks again! Yay, I’m so Glad that you finally found your best pumping rythm, Jane. Everybody is different though. Some can pump plenty of milk in just 10 mins, while others need longer, 15-20 mins pumping. I’d say go with what works for you. Again,thanks so much cos with this info.my stock in the fridge can be maintained. Am so determined to finish EBF…we are 5months now!! I read a million articles about breastfeeding and babies and stuff like that and like most articles I read, this one was both informative and helpful. However your last tip about God really threw me off ; I wasn’t expecting to read it and it really brought me a lot of hope. It actually made me cry. Thanks for writing.